This week we are continuing to improve the phonics app: adding features suggested by teachers. 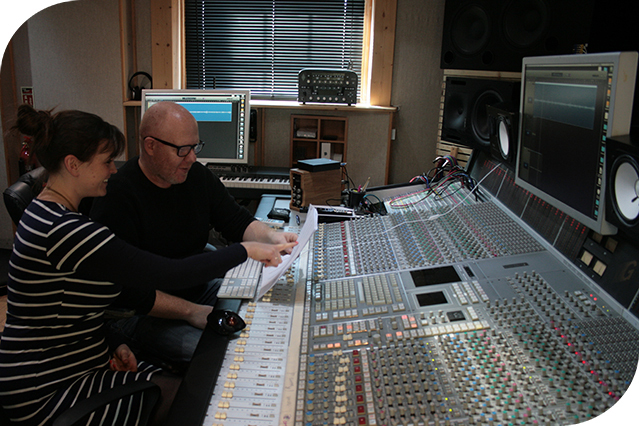 Today we have had an exciting time in the recording studio, with Gareth and Lucy, getting ready to add some audio features to the reading and spelling games. Many teachers felt that, for some children, some speech to accompany some of the illustrated phonics words would be a good idea. This was to make sure that they had no problems recognising pictures in the word building and spelling activities, although teachers did point out that they thought the illustrations in Froggy Match-it were very clear and children really liked them. Teachers of phonics will be only too familiar with speaking words clearly so that children hear the phonemes, and how it gives your facial muscles a good workout! We have made quite a few improvements now, and feel the reading and spelling games are going to be really beneficial to children learning phonics. And now they will sound good, too!